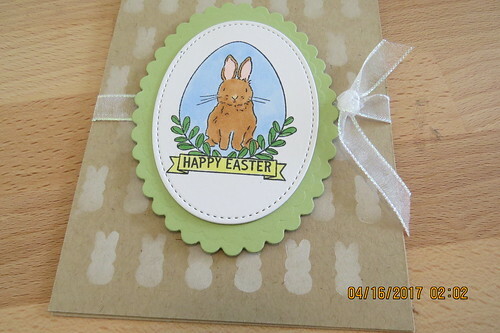 I have an Easter card to share today. I'm a day late but yesterday got very busy. 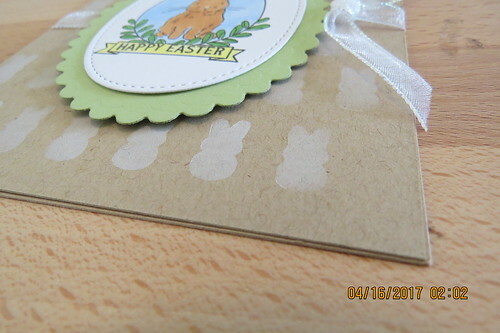 I used the seed packet stamp set from Simon Says Stamp for my feature image. The background was created with a stencil of peeps silhouettes. I made the stencil in Sure Cuts a Lot and then cut it out with my Scan N Cut. I sponged white ink in the stencil onto the kraft paper. 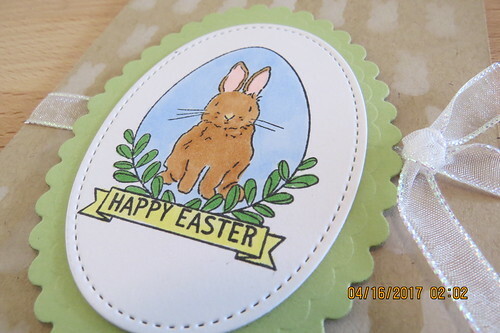 The image is stamped on a stitched oval from Stampin Up. I colored the image with my Spectrum Noir markers.